I told you we love pie and by that I mean we LOVE it! Without a doubt, it’s probably the most loved dessert at our house, well, next to ice cream. In particular, this lime pie is super smooth and delicious, but may not always feed a crowd. So, my solution is making it in my beloved 9×13 pan. 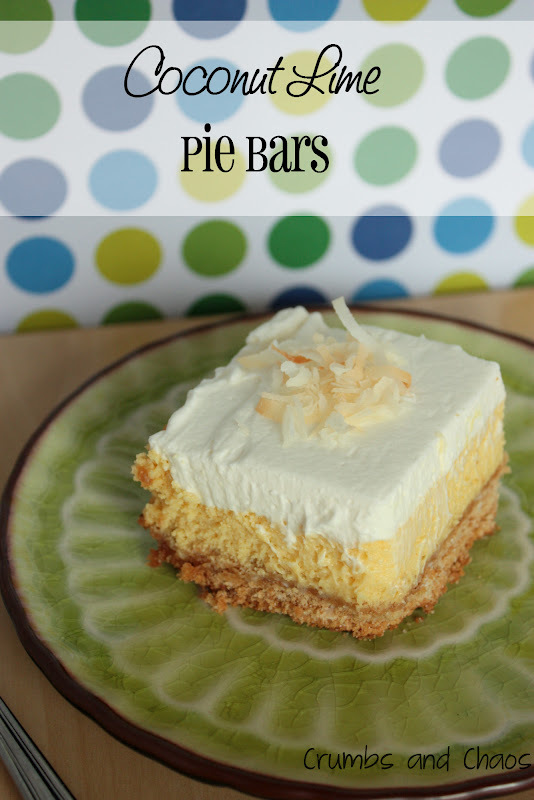 I added coconut to the crust, cream of coconut and coconut extract to the whipped cream and garnished it with toasted coconut. 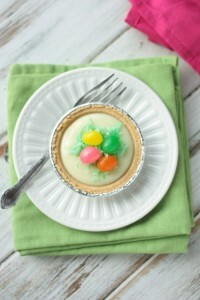 So refreshing and perfect for serving to your Easter guests. You are welcome. A tip for cutting bars like these (or brownies and such) is to line the pan with foil and leaving a little to hang over the edges of the pan. After baking and chilling, if needed, pull it all from the pan using the foil handles you left hanging over the edge. Place it on a flexible cutting board and use your handy bench scraper to cut it cleanly into squares. Neat and easy! Preheat oven to 350°. Line a 9×13 baking pan with foil. Place graham crackers and coconut in the bowl of your food processor. Pulse until crushed into crumbs. Add sugar and melted butter, pulse to combine. Press into prepared pan and bake for about 6 minutes or until golden. Remove from oven to cool slightly. Mix lime juice and egg yolks in a mixing bowl. Add sweetened condensed milk and beat on high until smooth and thick. Pour into crust and bake for 15-18 minutes, you want the middle to be just set. Remove from oven, allow to cool and refrigerate for at least an hour or more if possible. Beat together whipping cream, coconut cream, powdered sugar and extracts until soft peaks form. Spread on top of chilled pie. Remove from pan using edge of foil. Cut into bars. Sprinkle with toasted coconut. *You can find this in the juice aisle, usually on the top shelf by the ReaLemon juice. **You can find this in the alcohol mixers section of the grocery store. Wow, what a great recipe. 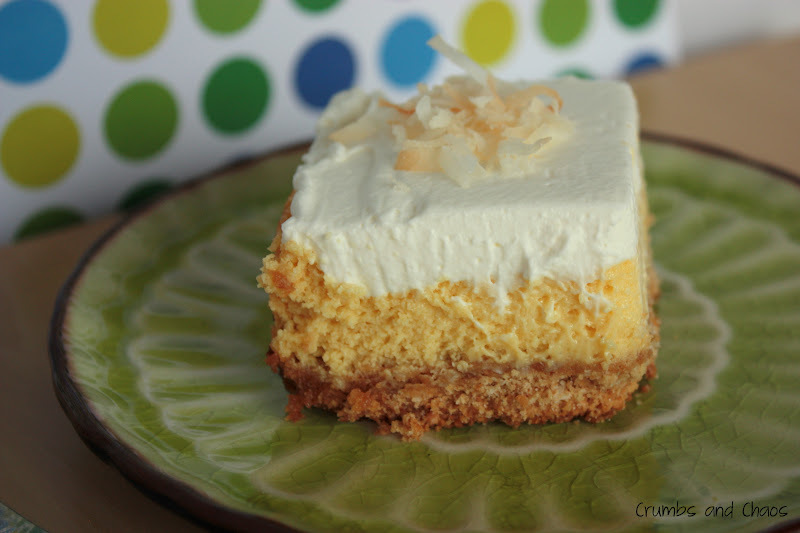 Key lime pie is my favorite and adding the coconut flavors (and making it bigger) is perfect! Oh my…this sounds wonderful. Can’t wait to make them. Oh my goodness this looks delicious, I’ve had a craving for all things coconut lately, will be trying these for sure. 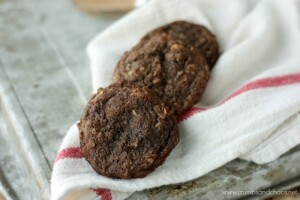 Thanks for sharing on Newlyweds Recipe Linky. I am pinning this recipe too. This looks wonderful! I love anything with coconut! And I love that you added coconut cream to the whipped cream. YUM. 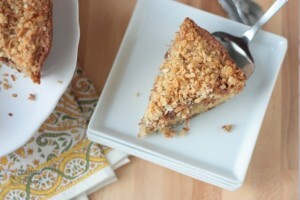 You just made that pie way better with all the extra coconut in it!!! LOVE it!!!!! Oh, I LOVE Lime Pie. 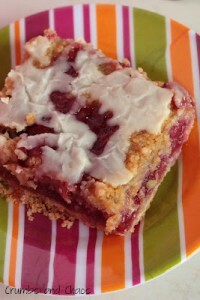 I’m pinning this recipe to my Sweet Tooth board. We’d love for you to link this post to our Finished Friday Party. 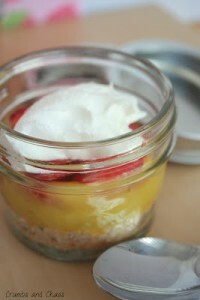 I just love this recipe its a great dessert to have on hand for the week end. Hope you have a fabulous Celebration Week End and thank you so much for sharing with Full Plate Thursday. Ooooo coconut and lime would be the perfect combination! Thanks for sharing at oopsey daisy! My mouth is watering, this is MY kind of dessert. Love creamy stuff. Where do you get coconut creme and what is it? This looks so good. Seems like it will be a great summer dessert. Thanks for bringing this amazing dish to Weekend Potluck! You have combined two of my FAVORITE flavors! Printing!!!!!! These look so delicious and refreshing! Thanks for sharing this fabulous recipe with us! Oh wow those look so tasty and perfect for spring! I would love for you to share this (and any other creations) at my new linky party “Pin It and Win It Wednesday” @www.cheapcraftymama.com! Oh, wow! YUM! Please mail me one! 🙂 Thanks for sharing at Shine on Fridays…featuring this recipe tomorrow on One Artsy Mama! This looks beyond yummy. I am so pinning and so making this! Thanks for sharing!